Mohr Partners, Inc., a global corporate corporate real estate advisor, has appointed George E. Grace as a Managing Partner in its New York, NY office, joining Lewis Cowan, Managing Partner. 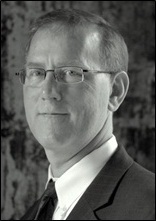 Mr. Grace brings 26 years of experience in commercial real estate. In 1995, he founded G.E. Grace & Company, Inc. As an independent broker and consultant, his firm completed a variety of assignments as an exclusive tenant representative including ongoing assessments and evaluations of a variety of real estate assets, headquarters relocations, large, complex transactions, strategic planning and successful implementation. Mr. Grace will merge his 6-person office with Mohr Partners, expanding Mohr’s New York office headcount to eight. Prior to founding G.E. Grace & Company, Mr. Grace was a Partner in Clifford Real Estate Services where he focused on repositioning underperforming real estate assets for financial institutions. He began his real estate career in 1986 as a commercial leasing broker for the Cross & Brown Company, then the largest real estate management and brokerage firm in New York City. Subsequently, he was responsible for the 200,000 SF lease renewal for New York City’s Health and Hospitals Corporation and was the lead consultant for the NYC Educational Construction Fund which evaluated 22 Manhattan school sites. Mr. Grace is a Certified Public Accountant and holds a law degree from Fordham University School of Law. Mr. Grace also holds a Bachelor of Engineering from Cooper Union and a Master of Business Administration from the University of Chicago Graduate School of Business.